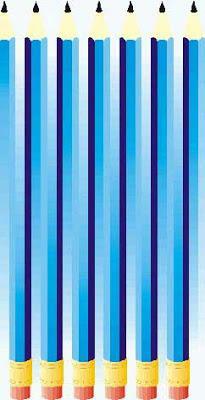 Here we have a simple optical illusion image of a row of blue artist pencils. As you can see these pencils have eraser ends and the points have been sharpened ready for use. If you count the sharpened points you will see there are seven, but if you count the eraser ends you will see there are only six. So how many pencils in total do you think there are in this picture? Would you say six or seven? In this picture there are a number of shapes resembling jigsaw puzzle pieces in a mixture of light and dark grey colours. 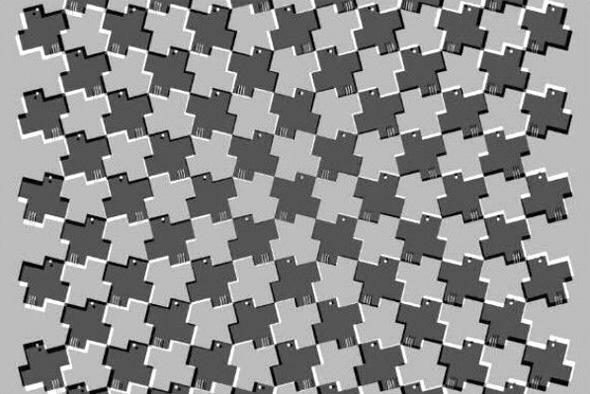 If you stare at this picture you can clearly see the pieces start to move in a spinning motion. 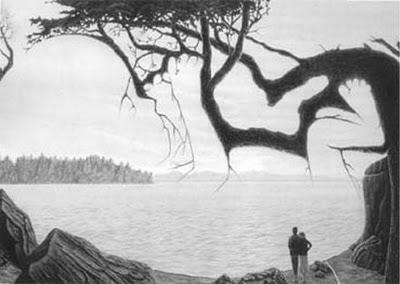 For best results focus your eyes on the outside area of this illusion rather than in the center. I think it is safe to say that we all recognize former US President Bill Clinton and former US Vice President Al Gore when we see them. 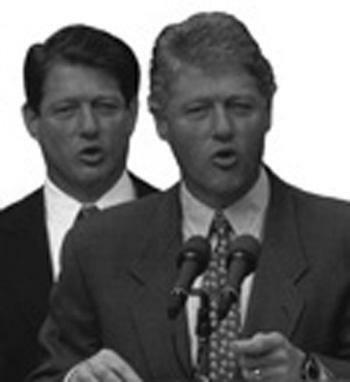 In this picture Bill Clinton is in the forefront while Al Gore is standing behind him. Or is he? If you look again at the two figures more closely you will see they both have the same face and that they are in fact both Bill Clinton. This optical illusion is achieved because the figure standing behind has an Al Gore style haircut so at first glance your mind thinks one of them is him. On first glance you can see this is a black and white picture of a young couple looking across a stretch of water. In the distance there is an island of trees and the couple are also standing next to a tree on the banks of the water. Just a romantic and peaceful scene you might be thinking to yourself with nothing more to see, however there is more to be seen in this image - an outline of a hidden baby in the womb. Can you see it? To help brighten up the cold winter months here is an optical illusion that will hopefully cheer up your day too wherever you are. It is a picture of the Sun in all its shining glory, you can almost feel the heat coming off it! 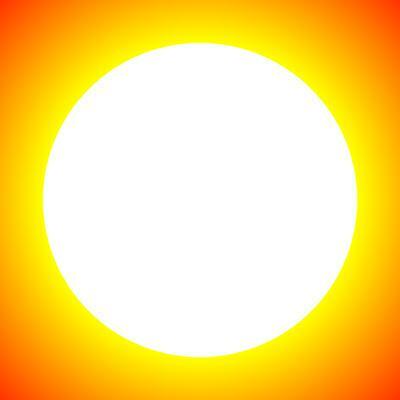 If you focus on the white center of this image and blink you can see the sunshine glowing.